So what's in the news? A long‑awaited update. A nifty DNA plug‑in. And our first international FTM conference tour. Let's get started. We're pleased to announce our second FREE update for FTM 2017 – one you'll want to install right away. Why? Recent modifications on Ancestry.com and FamilySearch.org made some changes necessary on our side too. The result is FTM 2017 version 23.2 (build 540). It's highly recommended, especially for those who sync or use FamilySearch features. We are also recommending it for any Mac edition users who are upgrading to the new macOS Mojave. Click here to pick up your copy of the free updater at the Update Center today. Introducing Charting Companion 7 from our friend and genius inventor of this much beloved plug‑in for Family Tree Maker, Pierre Clouthier, who calls it “The DNA Edition”. 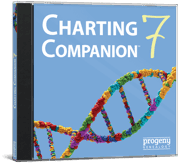 If you have your DNA match results and are thinking “now what?” then Charting Companion 7 is a great place to start. You'll see how DNA ties the members of your family together, get help setting priorities for DNA leads to follow, and use the DNA Matches feature to group potential cousins into branches of the family. Charting Companion 7 is available from the FTM Gift Collection, and is 25% OFF for just the next FIVE DAYS! Click here to order today. Got your DNA test kit? If not, click here to get the latest discount offer from Ancestry.com. No matter where you live, chances are Family Tree Maker is coming soon to a genealogy society near you. This week and next week alone we'll be at nine events – from our first Canadian tour to the 11th annual North Star conference in Minneapolis. We're aiming for a hundred events from seminars and luncheons to workshops and conferences over the next year, ending up at RootsTech London (Oct 24‑26, 2019). Click the CALENDAR button on our home page for the latest list of events. 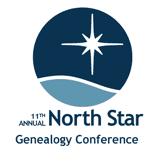 And if you're having an event of the genealogical kind or want to plan one around Family Tree Maker, give Mark Olsen and Kiara Neilsen a shout at calendar@familytreemaker.com. See you soon! If you couldn't tell, we're having the time of our lives in our third year as publisher of Family Tree Maker. Lots of exciting things still ahead, including the 30th birthday celebration for this grand old lady of family history software. We can hardly wait to share what's coming next. Stay tuned. Click here for complete information about the new 23.2 Update to FTM 2017 including installation instructions and troubleshooting. Click here to go to the Update Center to pick up a free copy of the 23.2 Updater. Click here to get The Companion Guide for $39.95. Click here to get The Charting Companion for $29.95 (reg. $39.95). Click here to get Family Book Creator for $49.95 (reg. $54.95). Software MacKiev supports all versions of Family Tree Maker for both Mac and Windows all the way back to version 1.0 from 1989 that came on floppy discs. 1. Companion Guide. The first stop for learning how to use features of Family Tree Maker is the Companion Guide which contains step by step instructions. You can open a PDF version of the guide from the Help menu while running Family Tree Maker, or order a full‑color large type printed edition from our Gift Collection (go to www.familytreemaker.com and click on the Gift Collection icon). 2. Knowledge Base. We have hundreds of helpful articles posted on our support site on a variety of topics that will be of interest to all users, and can help solve problems. To get to the knowledge base, just go to support.familytreemaker.com. 3. Live Chat. If you can't find an article in the Knowledge Base that solves your problem, you can have a live chat with an experienced support agent. Live Chat is available 24 hours a day, 365 days a year. Go to support.familytreemaker.com and search for “live chat”. In addition to our own official FTM Facebook page, there are a growing number of excellent unofficial but very active FTM Facebook user groups started by and run by users. The largest FTM user group has more than 18,000 members, many of whom are very generous in sharing how they use Family Tree Maker and in helping other members solve problems. FTM Staff. Our own support agents have been welcomed into most of the groups as regular members, and may offer advice from time to time — or invite users having problems to a live chat session. All of our staff members will have a picture of the FTM logo and “STAFF” as their Facebook pictures so you won't have to guess which ones they are. Guidelines for Facebook group participation. 1. Read the pinned post. At the top of each group's main window you'll find a pinned post. Please read it so you'll know the expectations of that group. 2. Don't “post and run”. Stick around to read the suggestions other members have for you. 3. Check if your question has been asked. Help members avoid answering the same questions over and over again by searching earlier posts to see if your question has already been asked and answered. 4. Let members know when your question has been answered. If you have gotten the help you need, edit your post to put “SOLVED” at the beginning so members will know you are all set and won't keep making suggestions. 5. Do not go to Facebook groups to “vent”. If something is upsetting you, please come see us in a Live Chat instead. We're happy to listen and will do our best to help everyone who is having a bad day.